We often install macadam sports surfaces as this is a durable and versatile specification which is ideal for many activities. 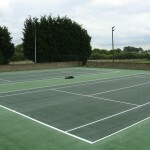 It is used for hard courts where tennis, netball, basketball and other sports are played, typically in schools and leisure centres. 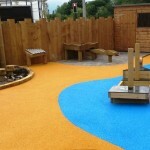 There are different design options available for the tarmac flooring, and we can help you create the perfect outdoor facility at a great value price. Get in touch with us today for more details on everything we offer. We’ll build a brand new sport surface if this is what you need, or we can simply refurbish an existing one to bring back the best playing qualities. Just fill in the contact box on this page and one of our specialists will get back to you as soon as possible to talk about costs. We recommend the use of open textured porous macadam sports surfaces on many of our projects because drainage is vital to all sports surfaces and the porous macadam (tarmac) surfacing allows surface water to soak through more quickly to prevent flooding. Different size aggregates can be used dependent on the engineered sub base specification as the thicker aggregate makes the engineered sub base stronger. 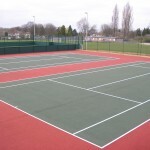 Finished macadam sports surfaces are also used both on Type 1 MUGA ball courts and also on Type 2 MUGA ball courts. 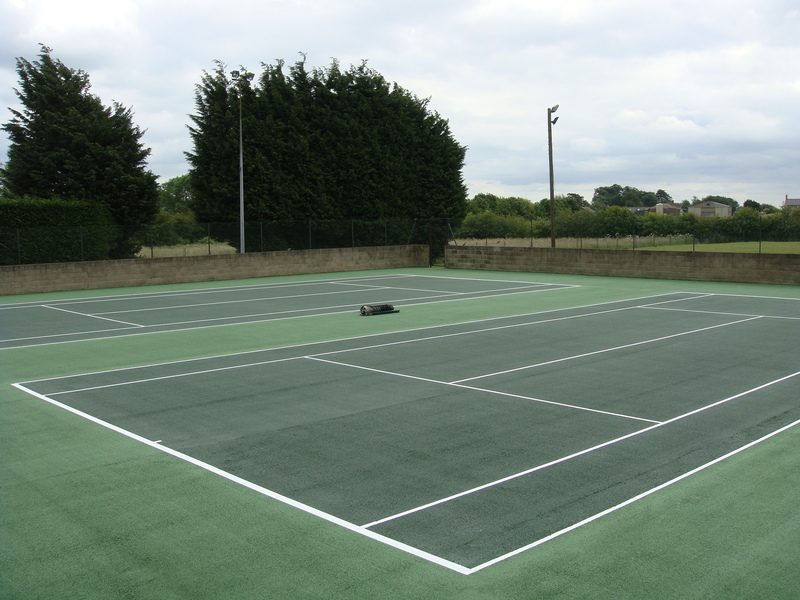 Macadam surfacing can be used for playing a variety of sports including tennis, netball and basketball, as well as multi use games areas which can have different coloured line markings applied to allow multiple sports to be played on the same surface. In the UK, many schools, universities and leisure centres are choosing to have macadam sports surfaces installed to replace worn out pitches which may have started holding water and becoming slippery. These problems can have a negative effect on the playing qualities and safety characteristics of the sports surface which might mean that the pitch is unsuitable for use. For lots of organisations, it’s important to have a versatile MUGA that can be used all year round and is suitable for many different sports. Installing a high quality macadam sports surface and keeping it well maintained will ensure that your facility remains safe and provides a positive experience for players. It is also important that you choose a reliable sport surfacing contractor with examples of their previous work to carry out the construction project, this will ensure that you get the end results you are looking for and most importantly that your sports facility is safe for use. Feel free to get in touch with us through our enquiry form if you have any questions about the costs of installing macadam surfaces, or if you would like us to send you some product sheets of what we can do. 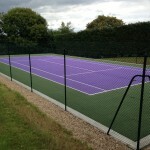 Type 1 MUGA ball courts are an all weather macadam surface used mainly for tennis and basketball. 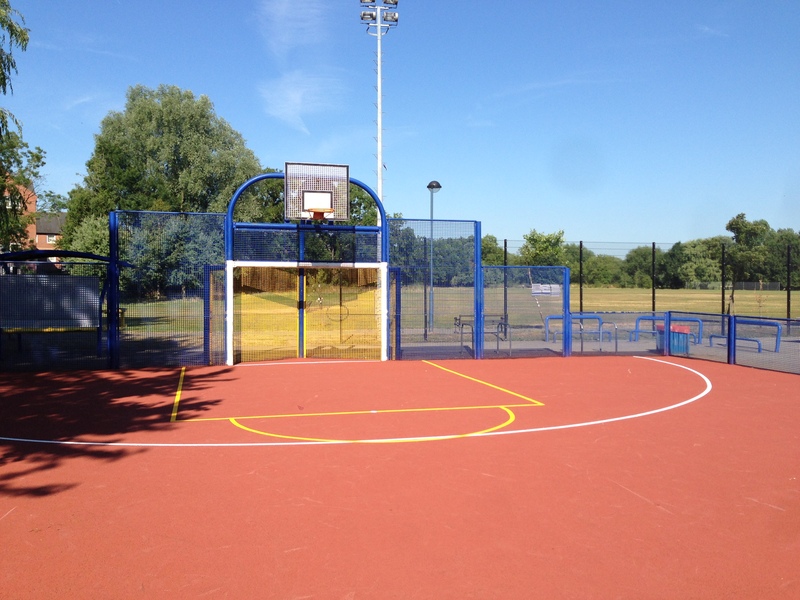 The type 1 MUGA can be colour coated with slip resistant paint available in various colours and commonly is applied in a 2 tone colour with line markings applied to distinguish the pitch area and run off space. 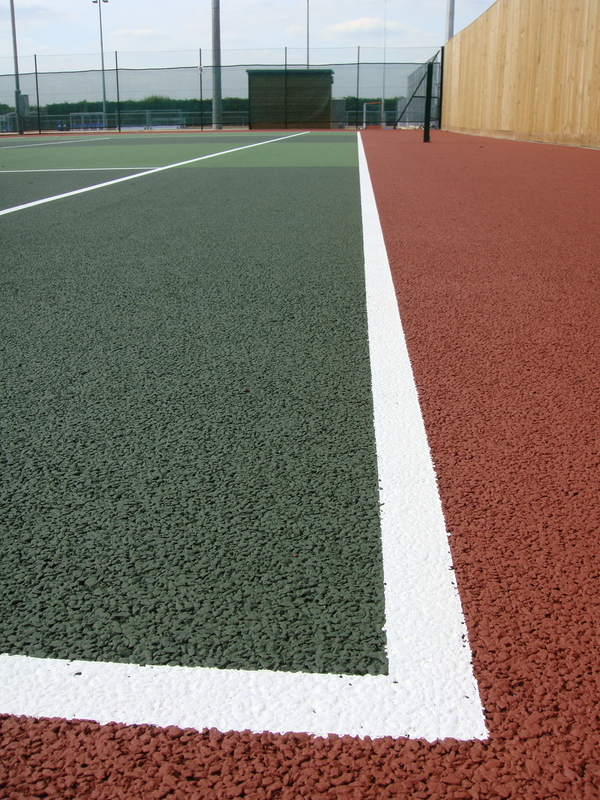 The colour coatings to the type 1 MUGA gives a surface grip to meet accreditations of ITF1, ITF2, ITF3, ITF4 and ITF5 which relates to the ball bounce and speed of play. You can also have annual sports surface testing carried out to assess qualities such as ball bounce and slip resistance, this will alert you to any problems and indicate a suitable method of maintenance to tackle it. 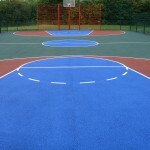 Type 2 MUGA ball courts are an all weather macadam (tarmac) surface used mainly for netball. 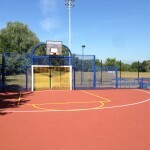 The type 2 MUGA is colour coated with anti slip resistant paint but the main difference between the two surfaces is that the type 2 MUGA needs to meet a higher slip resistance required by netball. Again the colour coating can be installed in various colours and commonly is applied in a 2 tone colour with line markings applied to distinguish the pitch area and run off space. These professional line markings can enhance game play and ensure accurate scoring to competitive matches. 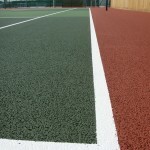 The colour coatings to the type 2 MUGA gives a higher slip resistance surface grip to meet accreditations of ITF1, ITF2, ITF3, ITF4 and ITF5 which relates to the ball bounce and speed of play. 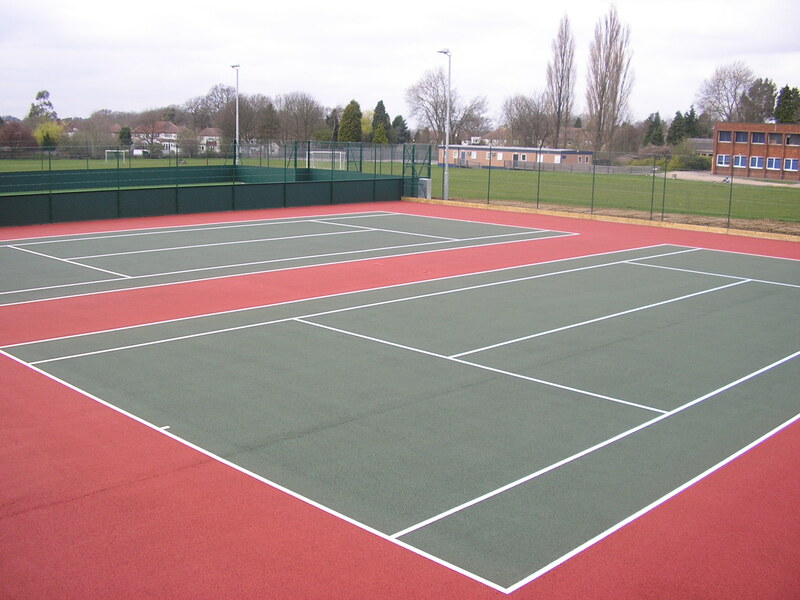 If you require any further information about macadam MUGA surfacing specifications, costs and quotes, please fill in our contact form with your details and requirements and we will be able to offer you some helpful advice. The costs for each project will vary depending on location, area size and the work that is required. We’ll do our best to stick within your budget and make sure that the process is completely affordable for you.